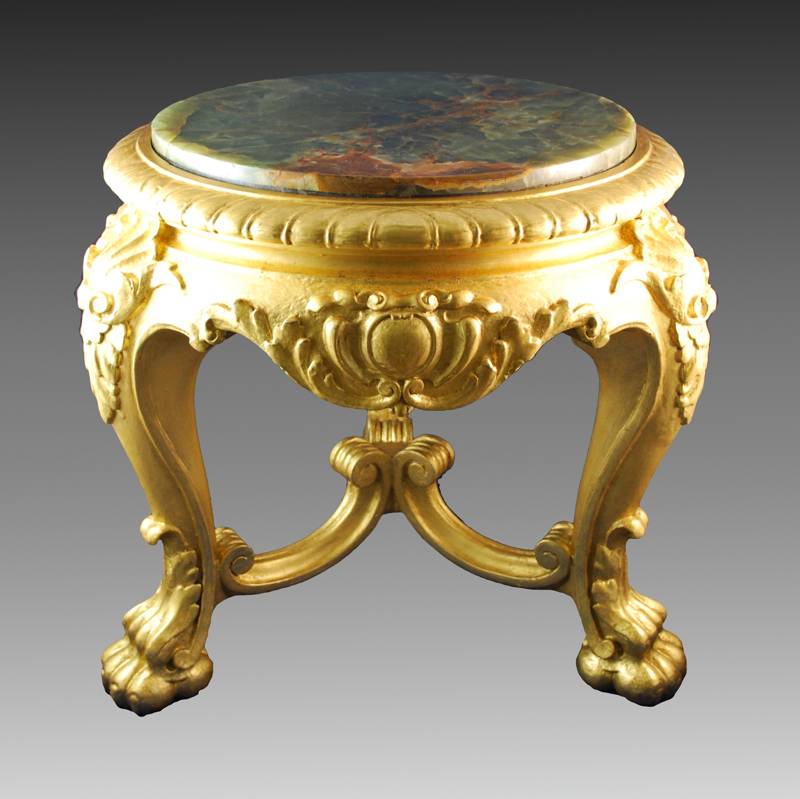 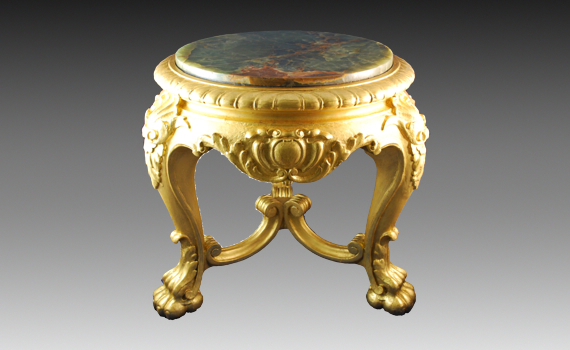 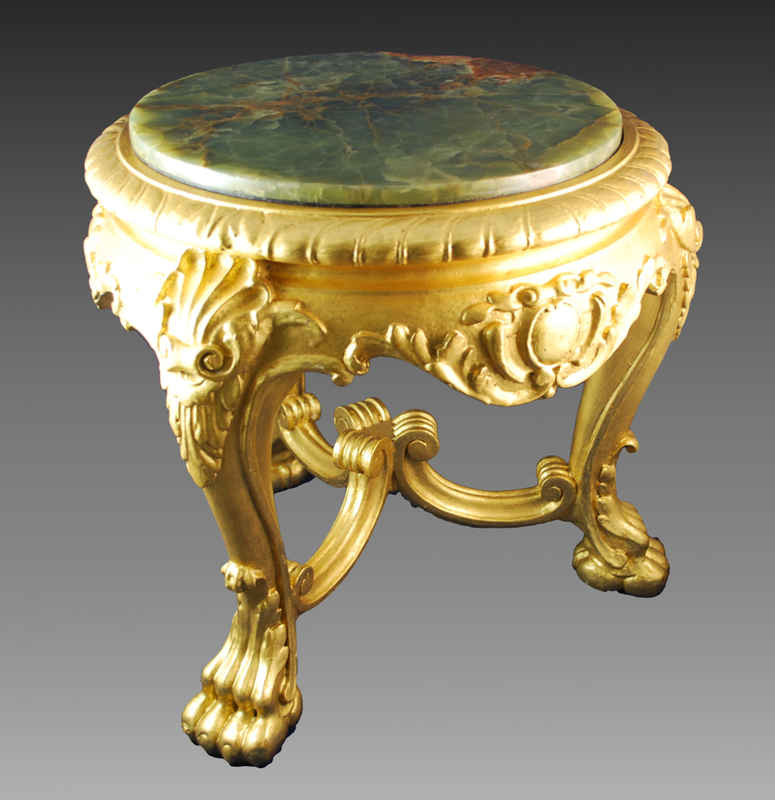 A Napoleon III carved giltwood stand. 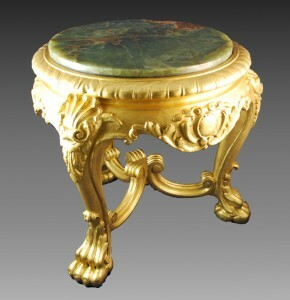 The circular onyx top inset a carved border with scalloped frieze carved with cabochons, and supported by three short cabriole legs ending in carved paw feet. Regilt.